Raffle Party Pitures and Winners! 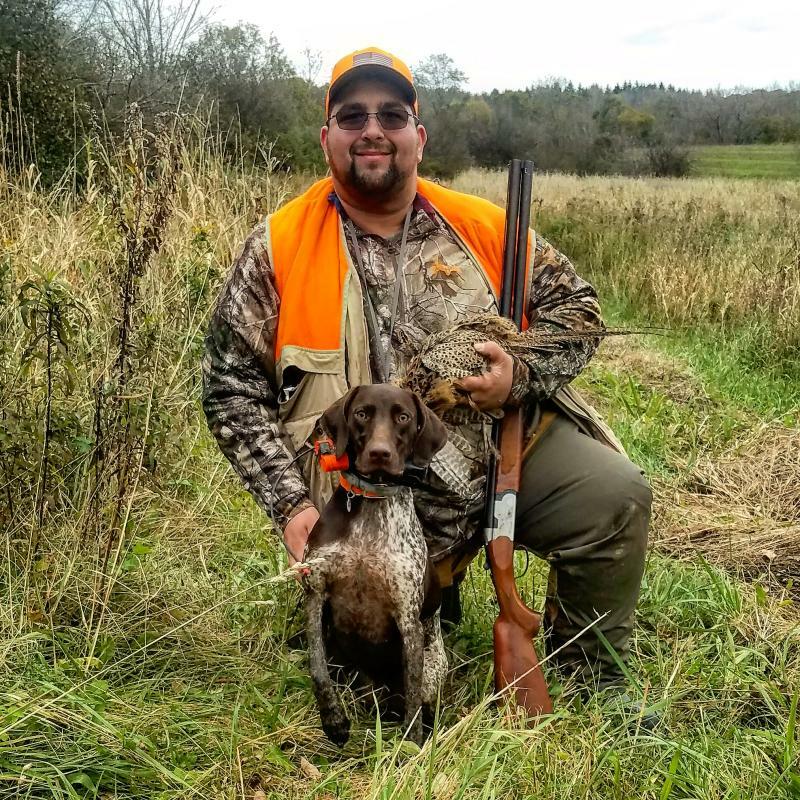 The Program raises pheasants for educational purposes and recreational use on public and private land in Allegany County. We are a 501 (c) (3) Corporation! You can now send your tax deductible donation to the address at the bottom of the page. 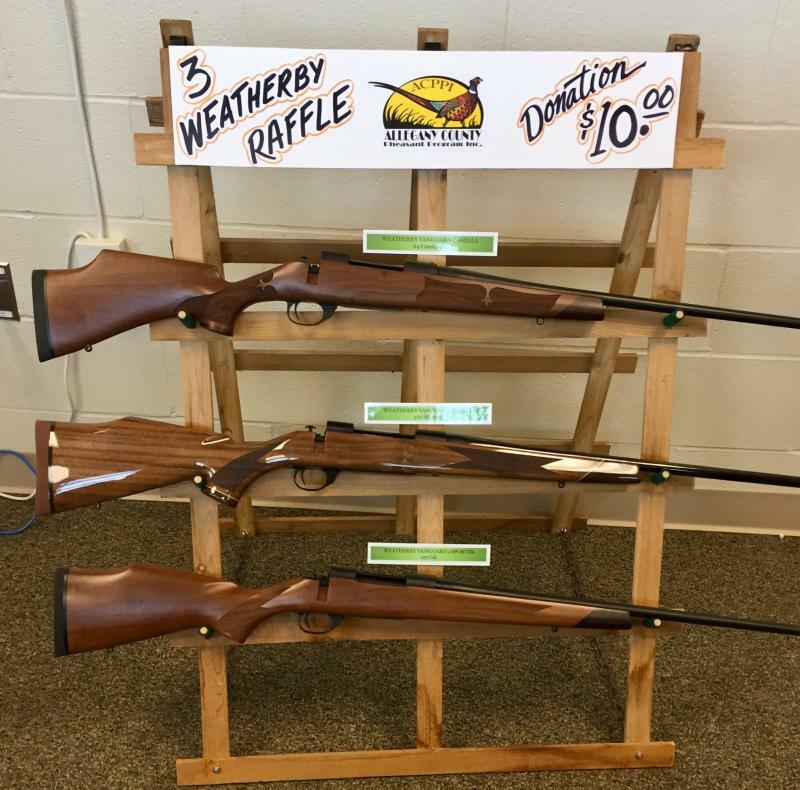 We are raffling these three Weatherby's! Winners of first two drawings will be re-entered in subsequent drawings - chance to win all three! Birds are looking real good this year! We have been hearing that some people believe the Allegany County Pheasant Program has been receiving government funding. We are not! The day old chicks are presently provided by the DEC and raised at the jail through the Inmate Working Program. All funding for feed and equipment has come through grants, donations, raffles and volunteer work. The sheriff’s Office provides the location to raise the birds and store equipment when not in use. 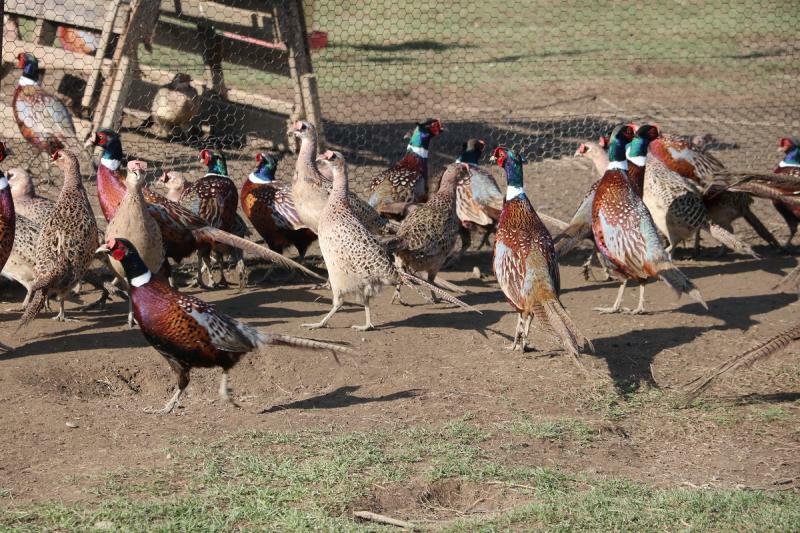 All birds are released on property that is open to the general public to hunt on during the pheasant hunting season – none are sold or given to any private organization. We are always open to accepting donations – without them, this organization will fold! We are always looking for members to get involved and help with this program - without you we will FAIL! 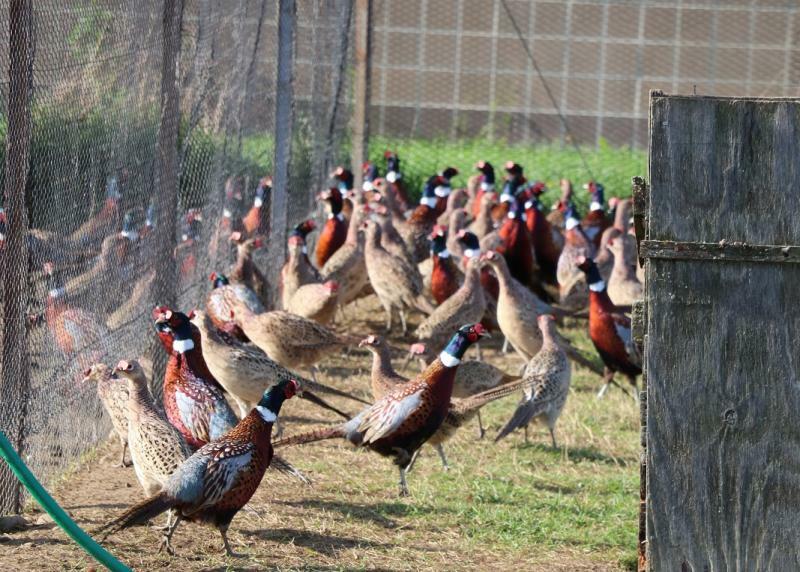 The purpose of the Program is to oversee pheasant raising and management in Allegany County. The Program raises pheasants from day old chicks to adulthood. 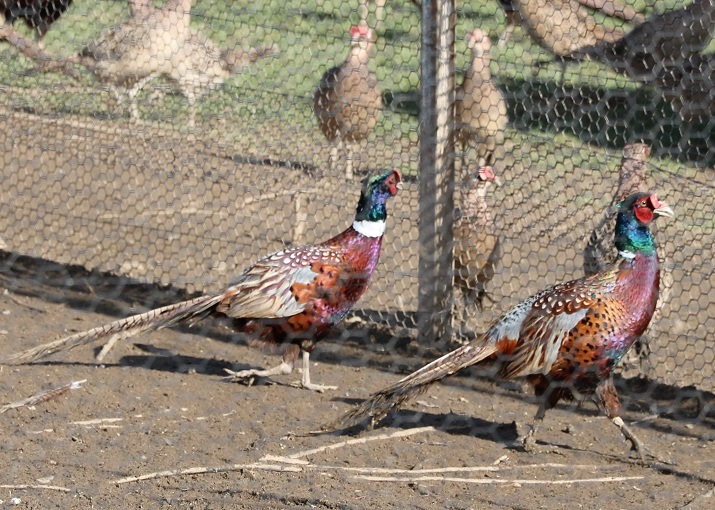 The placement of these adult birds, at locations in the county which, allows for controlled management and hunting of the pheasant population in the fall. The goal is to encourage economic stimulation and growth for the county. Stocking dates will NOT be disclosed! Copyright 2010 Allegany County Pheasant Program. All rights reserved.